Last week my boss was all excited because her daughter's wings had come in for her Halloween costume. Her daughter is going to be the... Halloween... Fairy... something? Apparently it's a book? 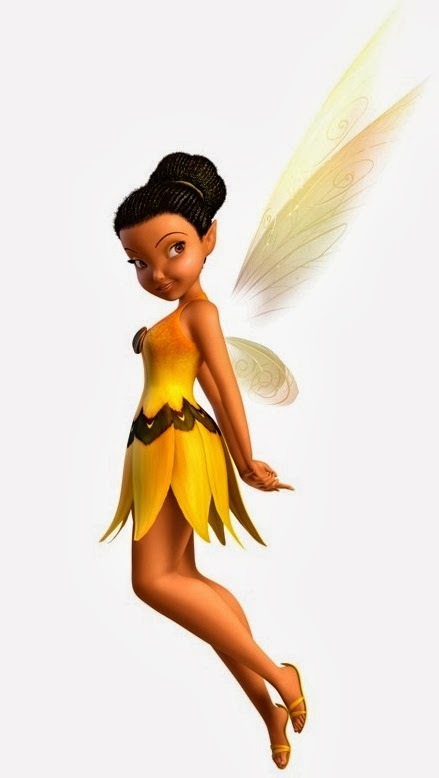 Anyway, my boss had them shipped to work, so she showed us: perfect, Tink-style fairy wings, only orange-y yellow. Half-joking, I declared that I would have to borrow them for the Tinker Bell Half Marathon, and she replied with an enthusiastic YOU CAN TOTALLY DO THAT! So I now have wings, if I want them, and my boss reliably informs me that the wings would be the perfect color for a resident of Pixie Hollow known as Iridessa. I'm taking her word for it. FIX THE TREADMILLS. THEY ARE NOW BOTH BROKEN. IF YOU DO NOT FIX THEM POST-HASTE, I WILL DO NOTHING IMMEDIATELY. I WILL BIDE MY TIME. BUT WHEN THE ALIENS COME, I'M VOLUNTEERING YOU AS GUINEA PIGS FOR THEIR OTHERWORLDLY EXPERIMENTATION. - Create a perfect race costume with Just Me and My Running Shoes. - Fantastic fitsperation from Prairie Princess Runners! - Carrots 'n Cake helps us tackle that long run. - We Run Disney acknowledges - and conquers - the fear of group running. - Headed for a night race? MousePlanet has tips for tackling runDisney night races, but a lot of advice is applicable to night racing generally. - As a DC denizen, I have to share this Theme Park Insider post on the Disney/Obamacare/shutdown connection. - And finally, the Disney Hipsters go to Hershey Park. YOU'LL NEVER GUESS WHERE I WAS ON SATURDAY. More later this week!